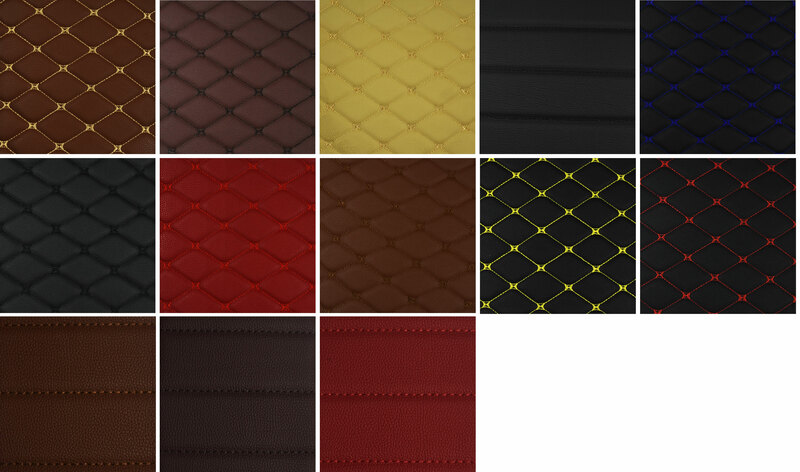 Luxmats are a manufacturer of high quality custom car mats, we have sold over 5000 sets worldwide. Luxmats can ship anywhere in the world. We are so confident in our products quality that all of our products come with a 1 year manufactures warranty. Custom Hand Made to Order with the highest attention to detail. LuxMats cover 95% of your vehicle’s carpeting creating a custom interior look that protects your carpets while complimenting your interior. LuxMats are 3D Fit for each vehicle and guaranteed to fit perfectly in your Car or SUV. The measurements are extracted with a 3D scanner. LuxMats are available for a variety of makes and models including Audi, VW, BMW, Mercedes, Jeep, Jaguar, Ferrari, Range Rover, Cadillac, Ford, Subaru, and many more! Ditch the ugly Rubber Mats and enjoy protecting your vehicle’s carpets with a fresh new look! With 3D imaging we can create LuxMats for a wide variety of vehicles. LuxMats cover the bottoms and sides of your vehicles flooring to create a custom interior look. Luxmats has many cooperations with car dealerships, if they trust in our products we are sure you will too.